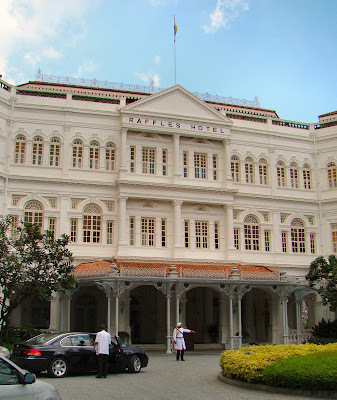 Raffles Hotel in Singapore is a world famous remnant of the colonial era. Built in 1887, the 104 suite hotel was the vision of four Armenian brothers - Martin, Tigran, Aviet and Arshak Sarkies, who named it after Sir Stamford Raffles, the founder of modern Singapore. Although now multi-cultural, in the colonial era the hotel's gracious facilities were strictly for the patronage of European guests and not the local native Singaporeans. It wasn't until the 1930s that Asian guests were permitted. All wide verandas, over-head fans, potted palms and white columns, it's the sort of place you might expect to see the ghost of Somerset Maugham, sitting on a cane chair, sipping a Singapore Sling, which, incidentally, was invented by Raffles bartender Ngiam Tong some time in the 1910's. Raffles was built on Beach Street, which was an area designated for Europeans and began as a ten room bungalow affair that was developed over a period of years. tHe main building was designed architect Regent Alfred John Bidwell from Swan and Maclaren, which at that time was the largest architectural firm in Singapore. Raffles was completed in 1889, though expansions continued to occur after its opening. The elaborate turn of the century architecture blended with lush tropical gardens creates a sensual experience for the visitor. The place is infused with an East/West flavour that reeks of Empire, Eastern enterprise and the everpresent whiffs of colonial history. In the early 20th century, pre WW2, Raffles was well and truly a mecca for the smart, affluent set. If Hercule Pouirot were a real person, undoubtedly he would have stayed there while in Singapore -it was that kind of place. 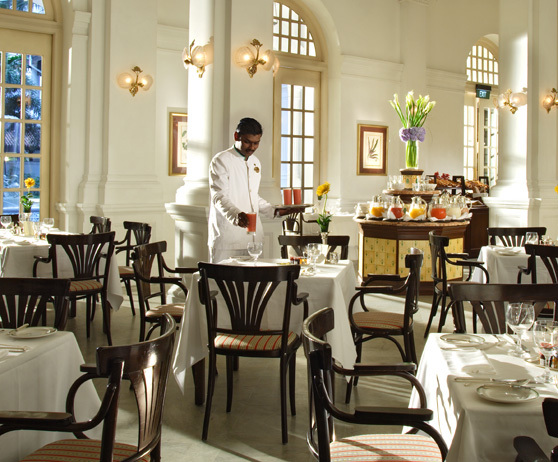 Raffles modern Tiffin Room. 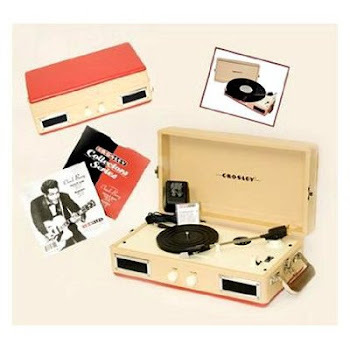 From the Raffles Hotel website. During the Japanese occupation of Singapore in the 1940s, the hotel was renamed Syonan and used as a headquarters for the Imperial Army's transport and supplies sections. Its rooms were comandeered for senior Japanese officers and occasionally special events were held in honour of important visiting Japanese miitary officers. However, when the news arrived that the Japanese had surrendered, the hotel became the bloody scene of several Japanese military suicides, who preferred to die 'nobly' in the traditional Japanese manner than survive defeated. Immediately after the war ithe hotel became a temporary transit camp for released prisoners of war form Indonesia and the East Indies. 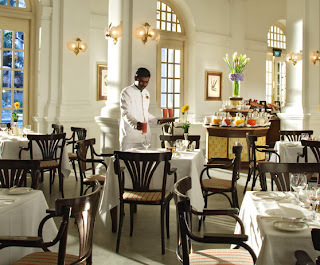 In the decades since Raffles has undergone some major renovations, notably when it closed between 1989-91 for a reputed 160 million dollar reworking that restored to to it's earlier glory. In '87 it was declared a 'national monument'. Raffles remains a strong, romantic symbol of a world that is now lost. It still nostalgically conjures visions of exotic travel, exquisite clothes, curry tiffins, elegant dinnerware and gin sings carried on silver trays by elaborately dressed servants - though albeit, it was a world enjoyed only by the privileged few. Netherthless, it's a beautiful place. 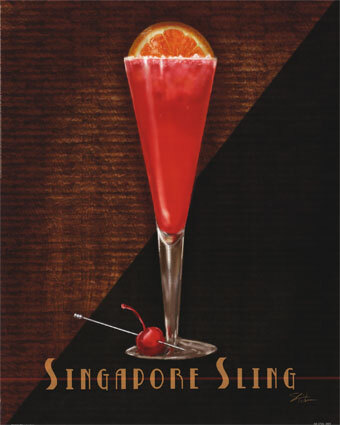 So, next time you're in Singapore, you simply must have a Singapore Sling at Raffles darling. Shake it all ingredients bar the soda together in a tumbler with ice and strain into glasses. 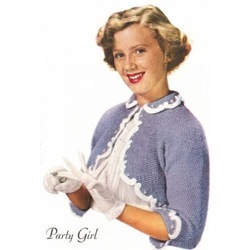 Add crushed ice, fill with a club soda and garnish with a fresh cherry. Nice.